Hi loves, I am so excited to share with you gives this new eye liner collection by MAKE UP FOR EVER. 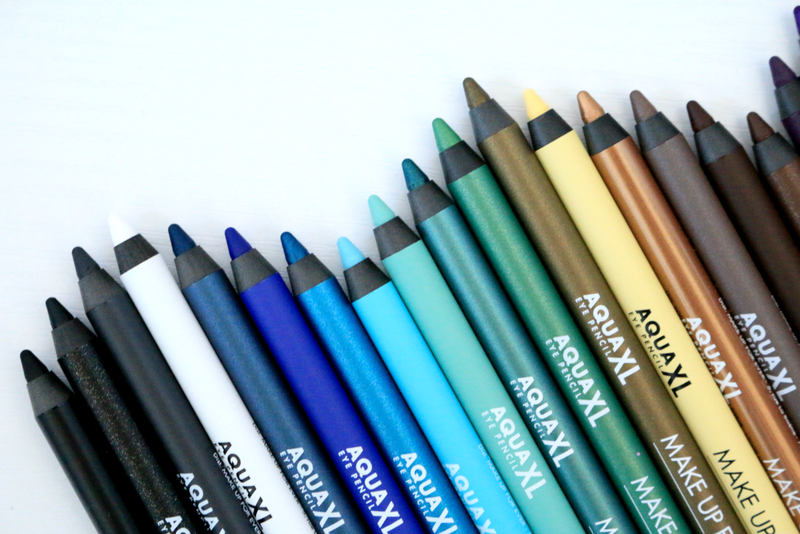 They recently collaborated with Charli XCX to bring you the new Aqua XL Eye Pencils. I wanted to share with you guys my thoughts and swatches of these pencils before they are released. These will be available in May and retail for $21.00 each. Right now Sephora has a set available for VIB Rouge members and it includes 4 of Charli XCX Festival Faves, and it retails for $49.00, which you can purchase at www.sephora.com. Now onto the shades! 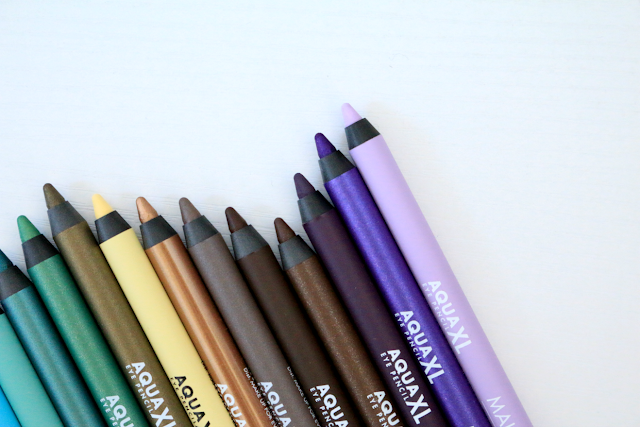 There is different finishes when it comes to the eye liners. There is matte, diamond, iridescent, metallic and satin. So you are bound to find a shade that you love. My favorites are the matte shades. 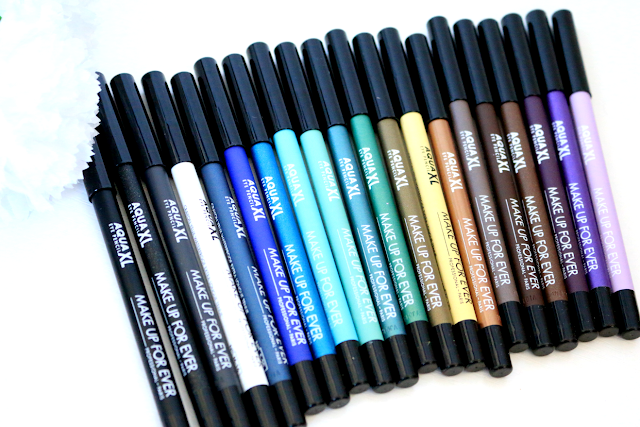 I am seriously in love with these eye liners. 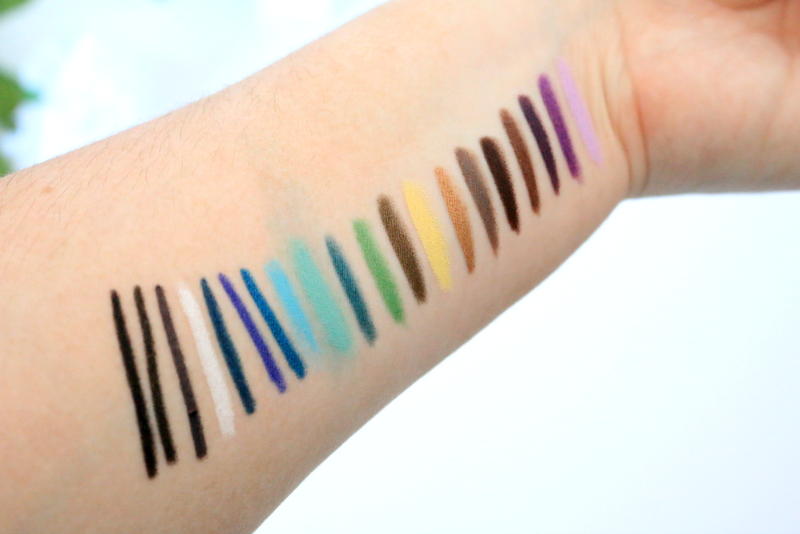 There is so many shades to choose from and the color pay off is incredible. 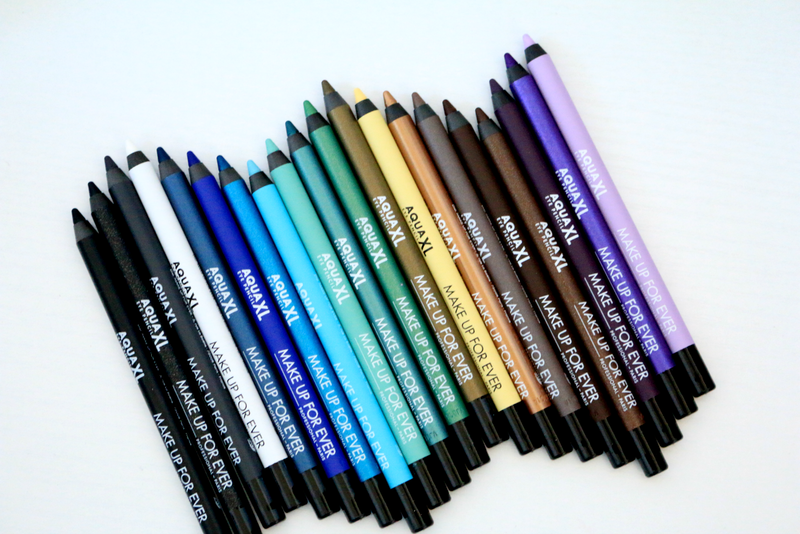 All of the shades are very pigmented and are easy to apply. They are water proof and they do not budge at all. I had to scrub my arm in order to get the eye liners off. I have a pretty watery water line and these last all day long. I am so excited to wear some of the brighter shades to Rock USA this year. I highly recommend picking up a couple when they do release!